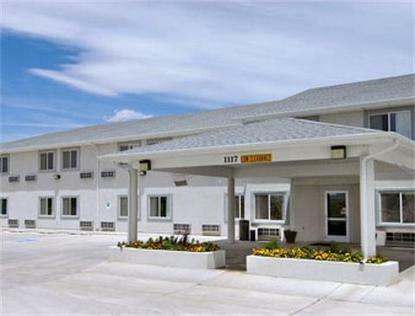 The Ramada Limited Green River provides a great lodging value in a quiet country setting to all travelers seeking adventure in Utah's Canyonlands, and we are a popular and affordable overnight stop for guests who seek a comfortable hotel after a long day's drive. Conveniently located just off Interstate 70, the Ramada Limited Green River is near Arches National Park, Canyonlands National Park, Glen Canyon National Recreation Area, Dead Horse Point, San Rafael Swell, Moab, Crescent City, and Millsite. We are also the closest hotel to the White Sands (Utah) Launch Site. Our interior corridor, AAA 2 diamond property provides all guests with a complimentary continental breakfast, Free USA Today Newspaper, Free Wireless High Speed Internet Access, and an indoor pool and spa. Every room also features the Ramada Signature Curved shower rod and security shower curtain, and Moen Revolution Showerheads, as well as the new line of Ramada Citrus Ginger Spa Amenities. Also included in every room is a refrigerator, microwave, coffeemaker, hairdryer, iron and board, and Cable TV featuring HBO. For your safety all rooms also have smoke detectors, electronic locks, and message alert service. Onsite amenities include a business center in the lobby, ice and vending machines, and free parking for vehicles of all sizes. Wheelchair accessible rooms are available, and we welcome pets for a small fee.